Please see note below regarding this photograph. 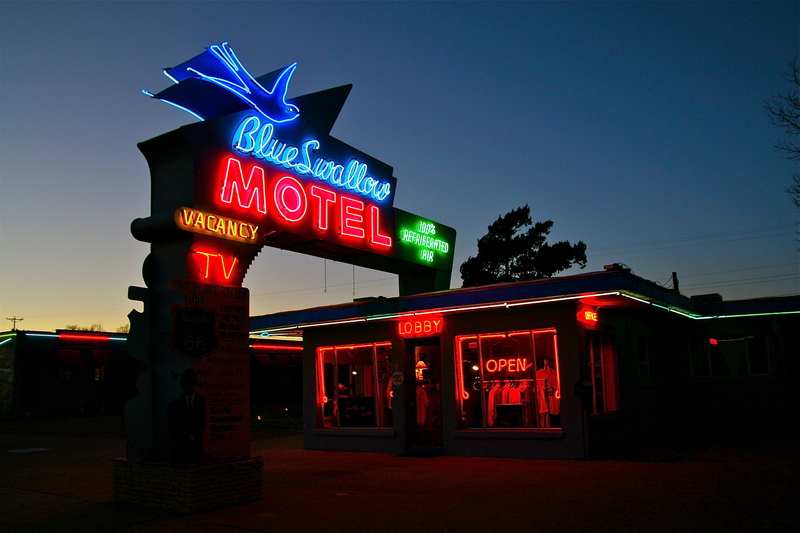 While I last stayed at the the Blue Swallow in 2007 under the previous owner, I can guarantee everybody that there is no better place to stop and stay for the night anywhere on Route 66. The new owners have done even more restoration and their reputation is stellar. 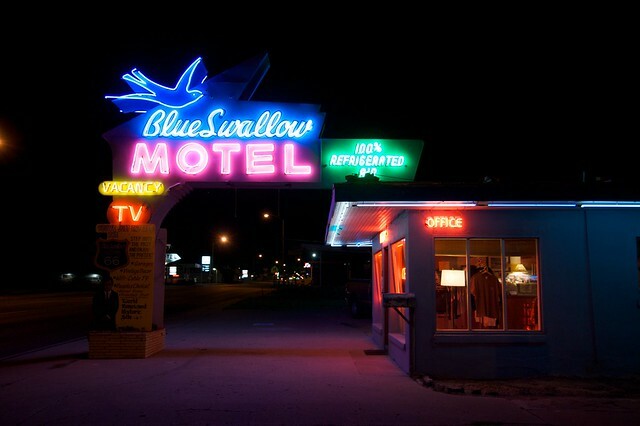 There may be equals in how a customer is treated such as at the Grand Motel in Williams, Arizona but no place will give you a better overall feel for the Mother Road than the Blue Swallow. Posted in Retro/Vintage, sign, TravelTagged Americana, neon, night, nighttime, photography, Route 66Bookmark the permalink.